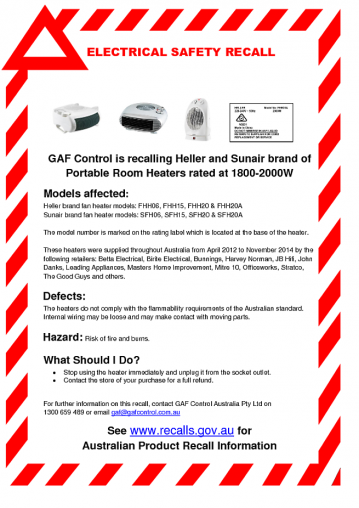 GAF Control is recalling Heller and Sunair branded heaters rated between 1,800 watts and 2,000 watts because they do not comply with Australian flammability requirements and could start fires or cause burns. 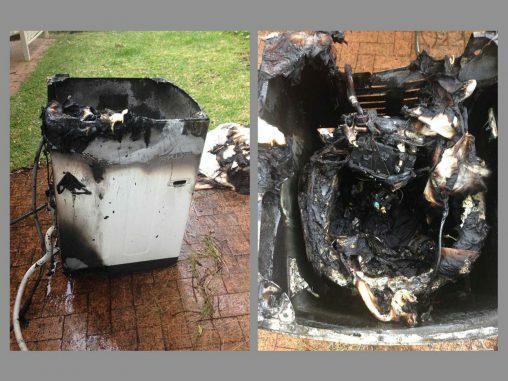 According to the ACCC recall notice the heaters’ internal wiring may be loose and may make contact with moving parts. The affected products are Heller brand fan heater models: FHH06, FHH15, FHH20 and FHH20A, and Sunair brand fan heater models: SFH06, SFH15, SFH20 and SFH20A. The heaters were sold throughout Australia from April 2012 to November 2014 by the following retailers: Betta Electrical, BiRite Electrical, Bunnings, Harvey Norman, JB Hi-Fi, John Danks, Leading Appliances, Masters Home Improvement, Mitre 10, Officeworks, Stratco, The Good Guys and others. 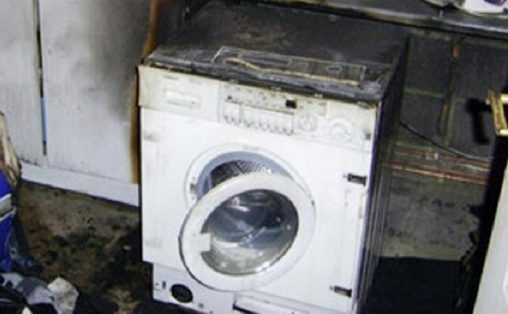 Consumers should stop using the heater immediately and unplug it from the socket outlet. 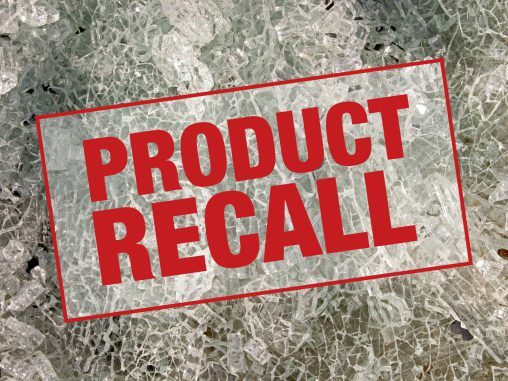 They are advised to contact the store they bought it from for a full refund.